Well, I was going to end this with ‘bunny’, but somehow it didn’t feel like this would be a good way to describe myself truthfully, so, perhaps, I should simply drop the ‘a’ and just say that medieval walled towns, for whatever reason, make me really happy. I have seen my fair share of them since we moved to Vicenza in Northern Italy last year and their medieval novelty never seems to wear off for me. In all honesty, I would rather walk around a small town compactly fitted within the confines of a mighty defensive wall with narrow curving streets lined up by old atmospheric houses where history and tradition oozes from every stone and cobble than explore endless sights and attractions in a hustling and bustling large modern city choke-full with people and stress. 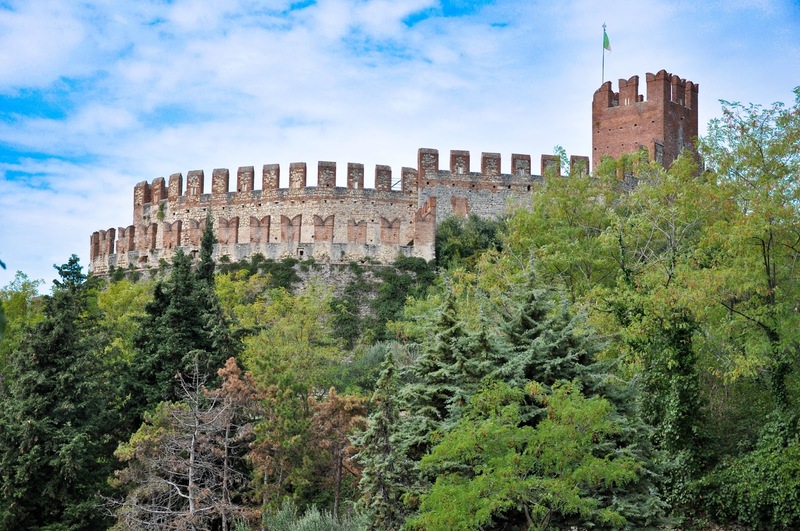 In the past year I have managed to tick off several of these medieval walled jewels in the Northern Italian region of Veneto, most notably Marostica, Montagnana and Cittadella which charmed my soul and stole my heart. Yet, there was one such town which was top of my list for many months and still, it seemed, we could never quite find the time or the opportunity to visit it. We would be driving on the motorway with the GPS guiding us to either Verona or Lake Garda when about half an hour away from Vicenza, we would glimpse, in all its glory, a huge defensive wall going up a hill, crowned by a castle, and then, slithering down again on the other side of the hill, it would close its tight embrace within which a small picturesque town cuddled. 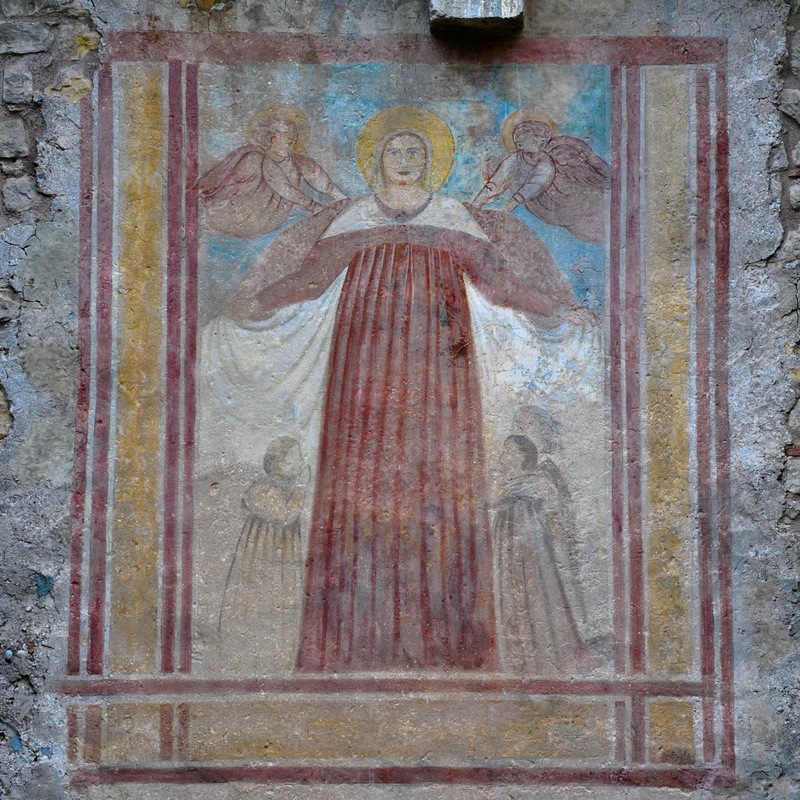 The first time that we saw it, still new to our life in Italy, our heads jerked to the right – eyes open wide with excitement – and I immediately proclaimed: ‘This is splendid! We must go there next weekend.’. Little did I know that it would take us over 12 months, before we finally made the short journey there. It was like we were so enamoured with the idea of this medieval walled town that we didn’t dare have our illusions shattered. You know how it is?! You get really hyped up about a place, only to have all your dreams and expectations completely un-met by the stark reality. Take Paris, for example, which, hmm, how to put this politely, didn’t quite live up to the hype. So, we kept driving by our little medieval walled town, its name kept coming up when travel plans were discussed, yet always we would opt to go some place else, which didn’t carry the heavy load of dream-like expectations. That’s it, until a grey October Saturday, when we piled in our little red car and decidedly set on the road to Soave! 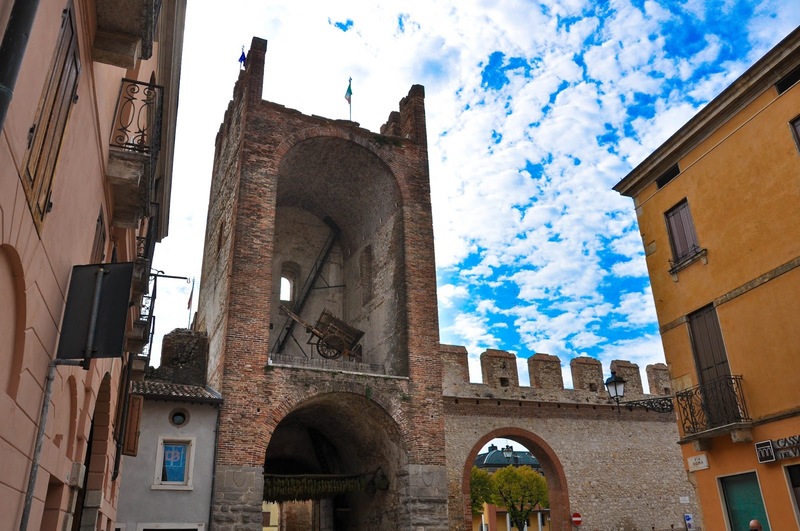 This Shangri-La of medieval walled towns. The strada took us past Veneto’s lush vineyards. With the grape-harvest nearing its end, long lines of neatly trimmed vines stretched all the way to the horizon. 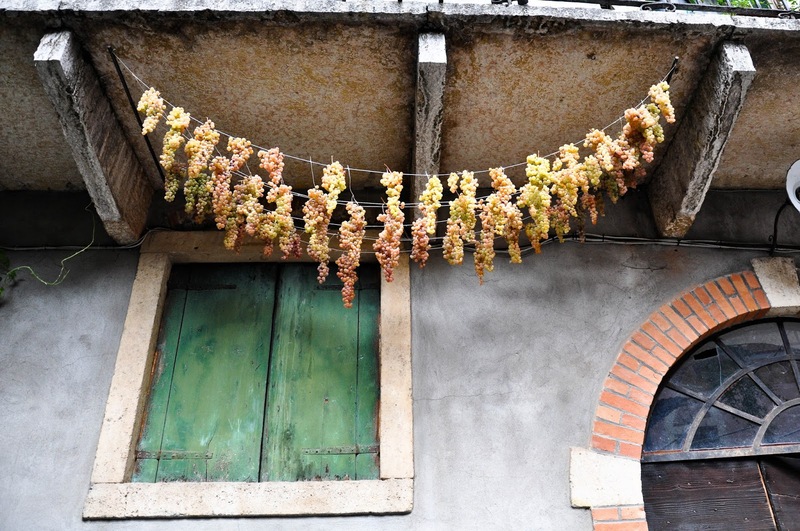 Workers carrying baskets overflowing with sun-kissed grapes hurried up and down the paths. Tractors were patiently waiting for their trailers to be loaded with the juicy produce. Have I told you how beautiful it is to drive through the Italian agricultural land?! I know it doesn’t make much sense. Usually people go on about gorgeous un-spoilt countryside, mighty mountain views and wide blue seas. Yet, some of the best panoramas I have enjoyed have been travelling through endless fields of golden sunflowers and wheat. Nowhere I have seen land so beautifully and tenderly tended as in Italy. Green corn is abundantly watered during the hot summer days. 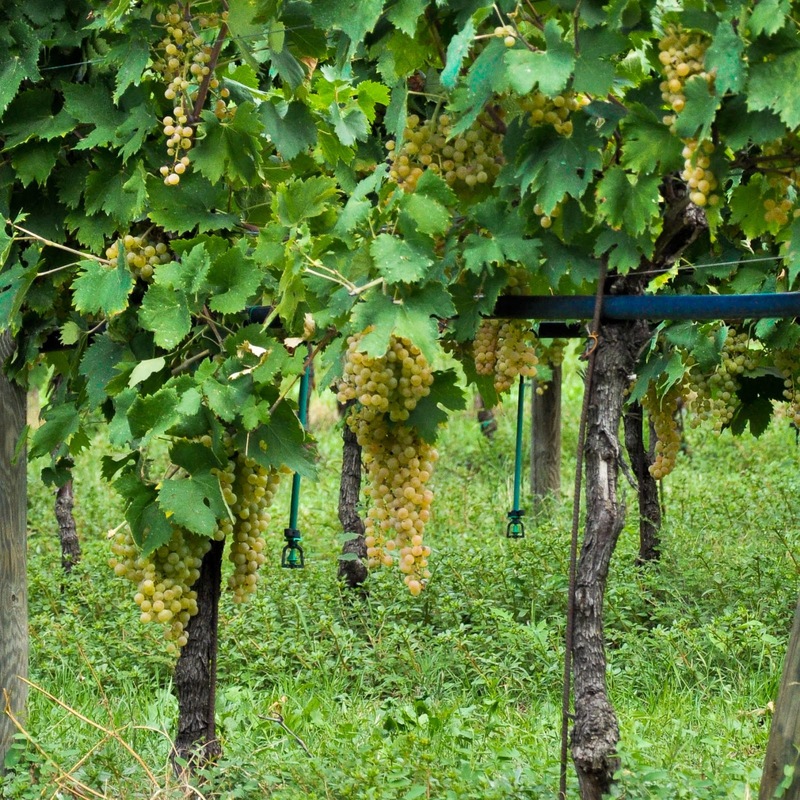 Fruit trees and vines are carefully covered with protective nets to ward off cheeky birds. Everything is in straight lines, neatly organised, attentively tended to by a caring hand. 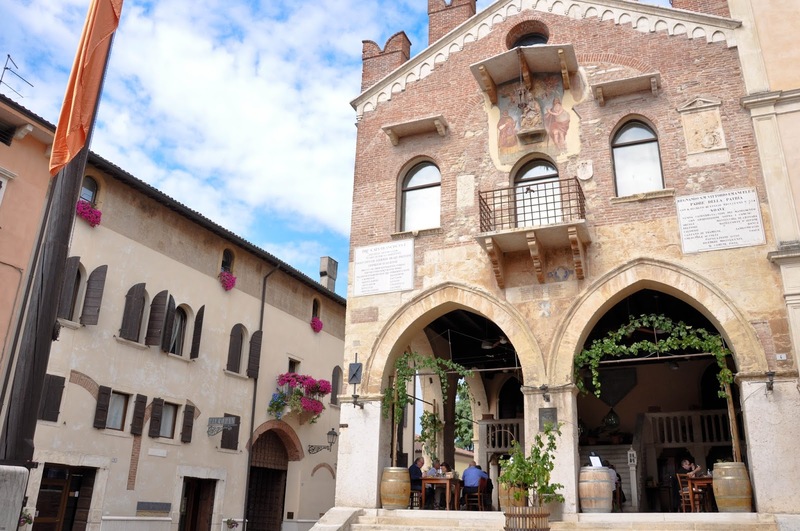 As we were travelling through Soave’s vineyards – one of the most densely planted areas in Europe – we started glimpsing the local wineries where the famous local dry white wine is made. Five minutes later and we were coursing through the streets of the little town and its huge defensive wall loomed in front of us. Let me save you the suspense! Soave didn’t disappoint. 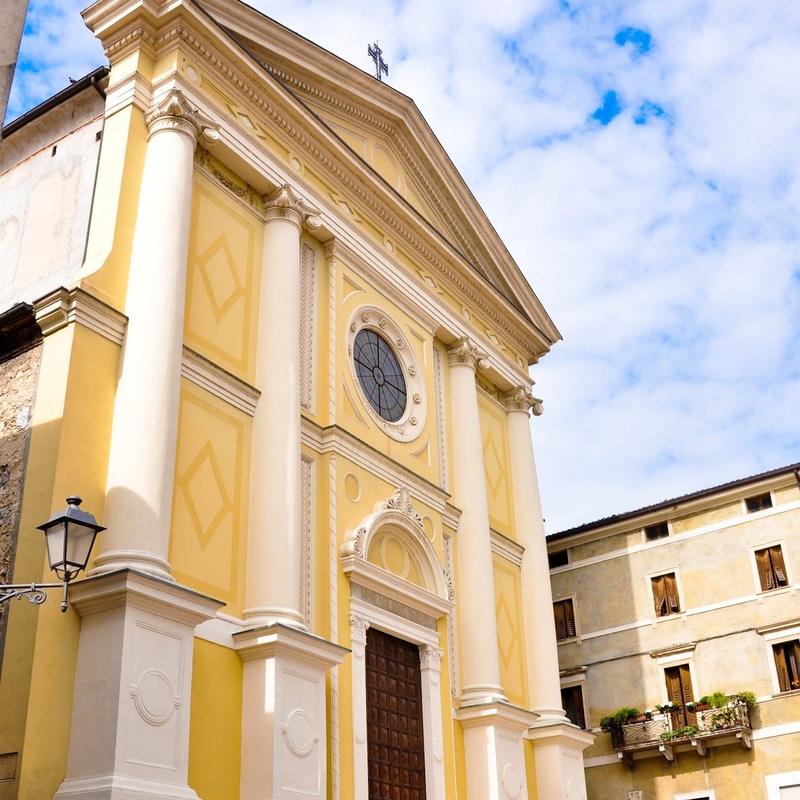 With its sunny squares, small traditional eateries and atmospheric houses, it was like a medieval-walled-town dream come true. We wandered up and down winding streets, taking it all in. 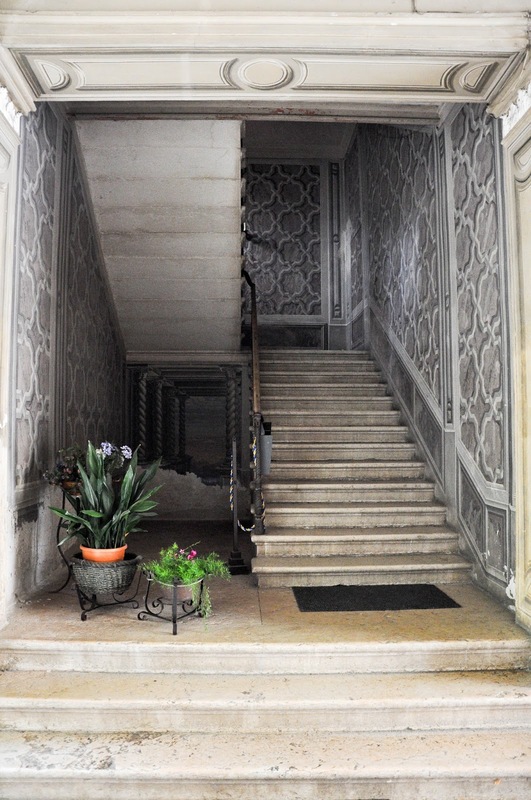 The flowers, still in bloom, adorning small balconies with pretty iron railings, the colourful facades, the people having their leisurely lunch and, above all, the grapes. Everywhere you looked, there were grapes. 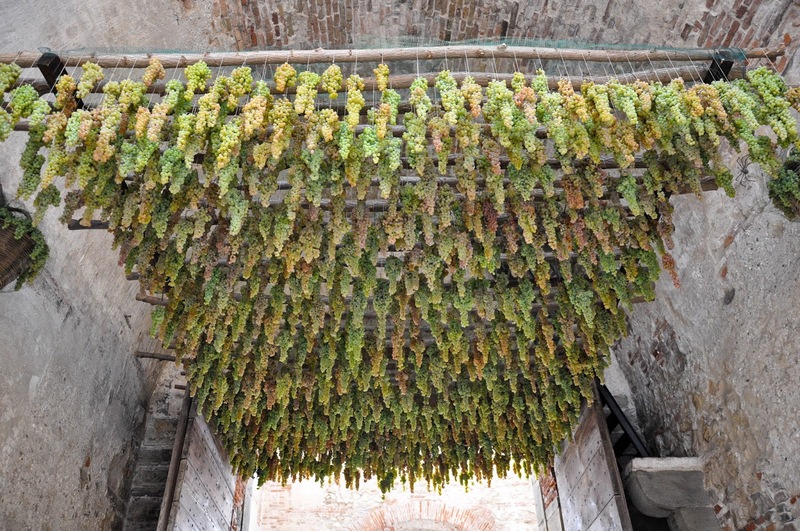 Long, thick bunches of white grapes were hanging from balconies, over restaurant doors and even in the arches of the defensive wall gates. 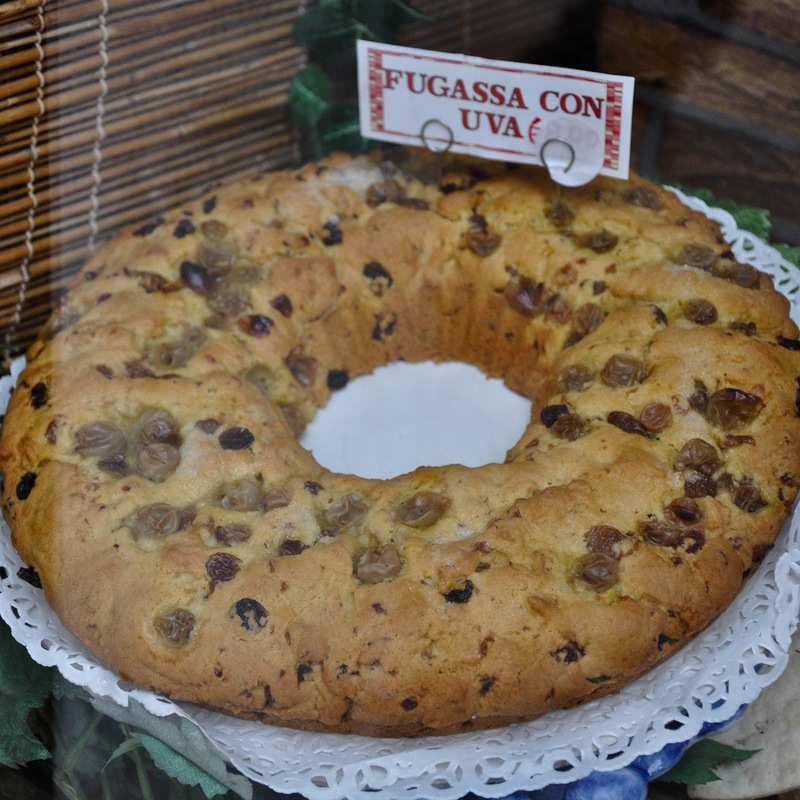 Soave was celebrating its viticultural heritage in any possible way with grapes prominently present everywhere, even featuring in this traditional bread sold by the local bakery. The town felt happy and peaceful. That special state of mind which you get when you have comfortably stretched under the sun and your body has relaxed whilst your mind, stimulated by all that excess of vitamin D, weaves a silver thread of happy thoughts mapping your future plans. A steep cobbled street led us up the hill all the way to the castle. 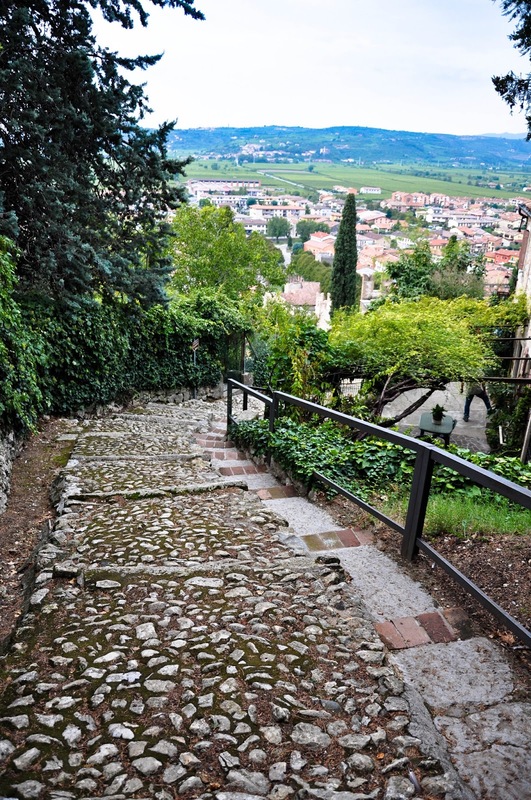 It was a strenuous walk trying to adjust your step to the large uneven cobbles. 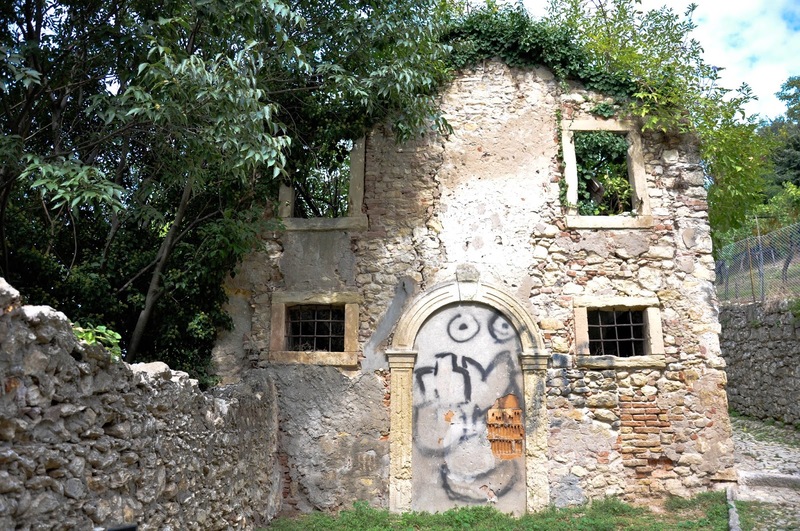 We passed by an abandoned house taken over by Italian graffiti and green branches and then, through thick trees, we could glimpse the sleepy town below at our feet. The castle stood on top of the hill. Two-tiered, it reminded me of a wedding cake. 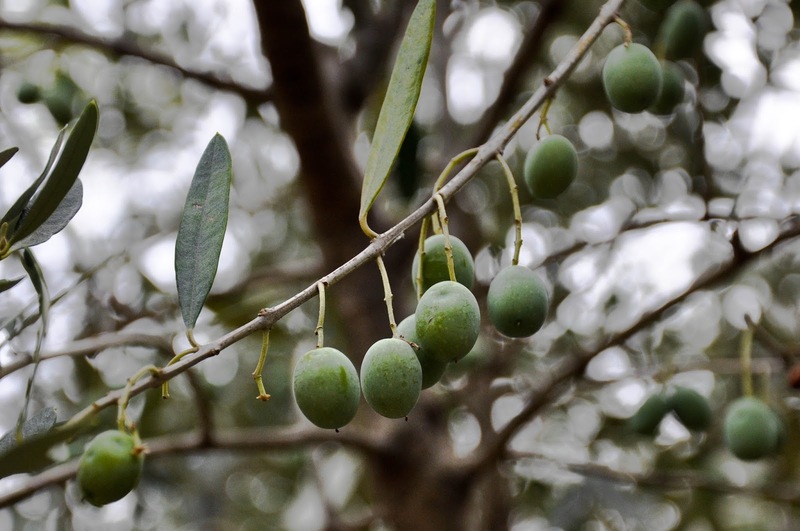 It was surrounded by lush vineyards and an olive tree grove. Inside the castle grounds we explored the preserved rooms, marveled at the antic furniture, the full suits of knights’ armour and the beautiful frescoes on the walls. Then we scaled the steep steps to the top of the tall tower where we spent a few minutes admiring the green rolling hills densely covered with vines which stretched all the way to the horizon. It was all so lush and verdant, filling the heart with joy and the lungs with sweet, fresh air. 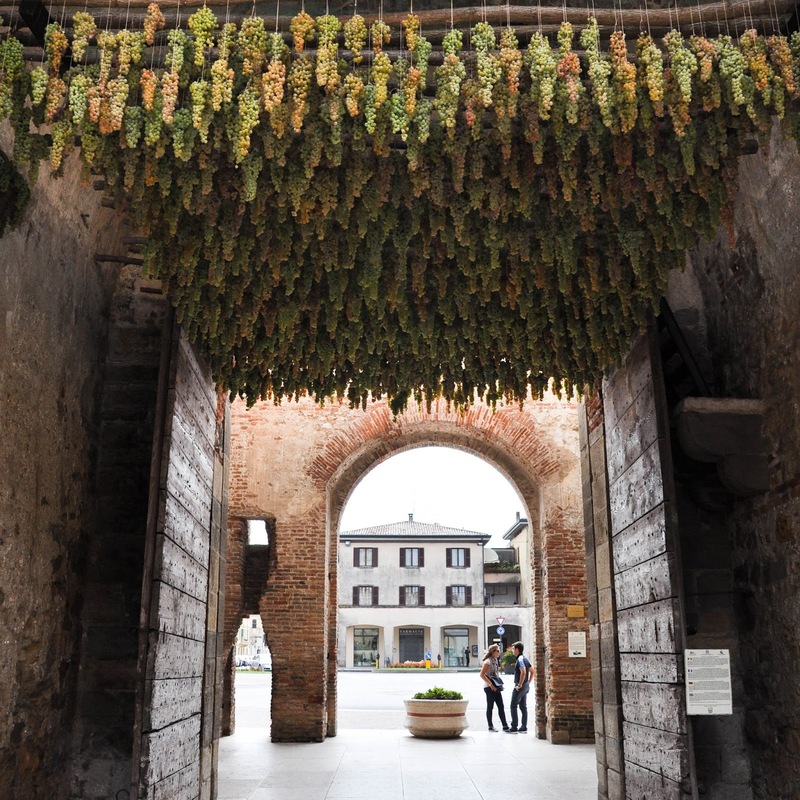 Visiting Soave was a great experience. I just hope that it won’t be another 12 months before we visit again. Hi. 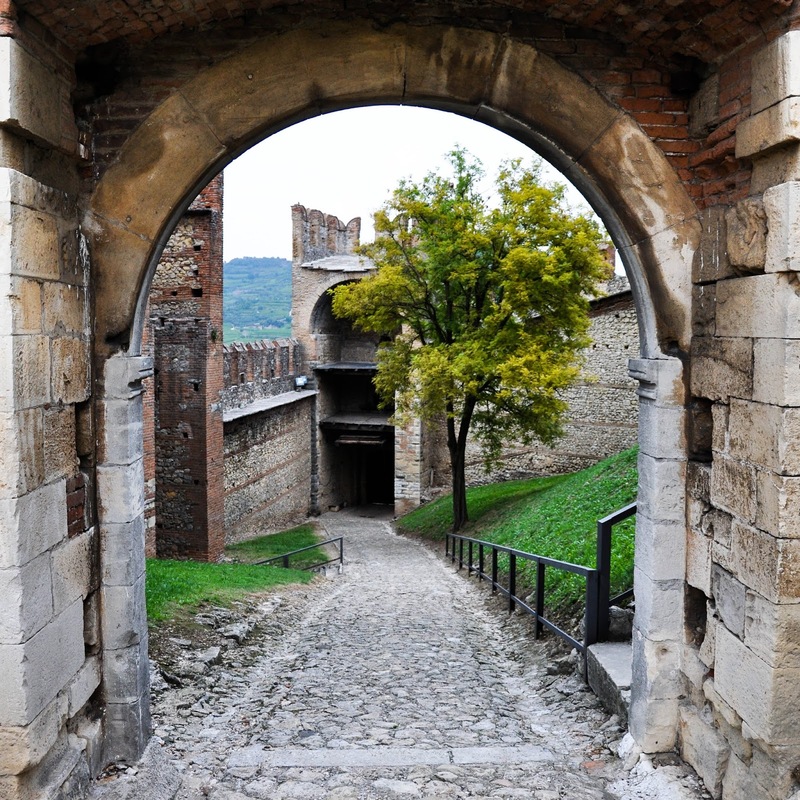 May I know which best spot for taking photo Soave Castle ? Yours look very fabulous! 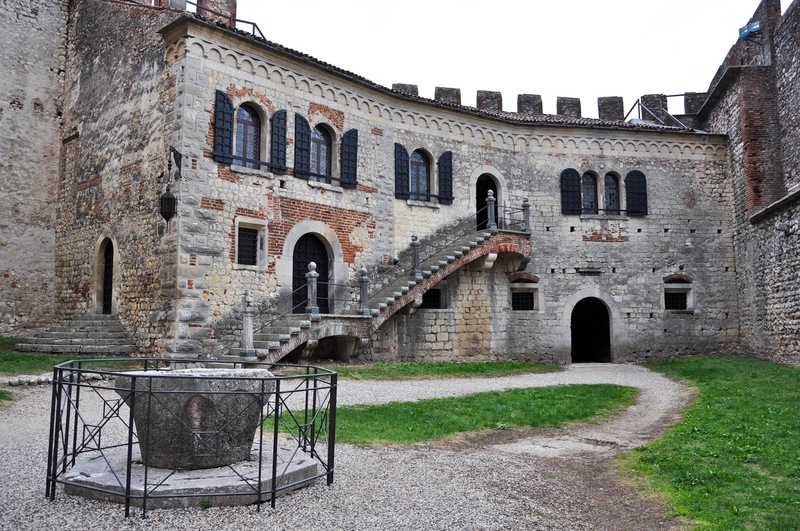 I intend to walk around to take some photos all over the Soave castle. Hello! Thank you for stopping by and for your kind words. 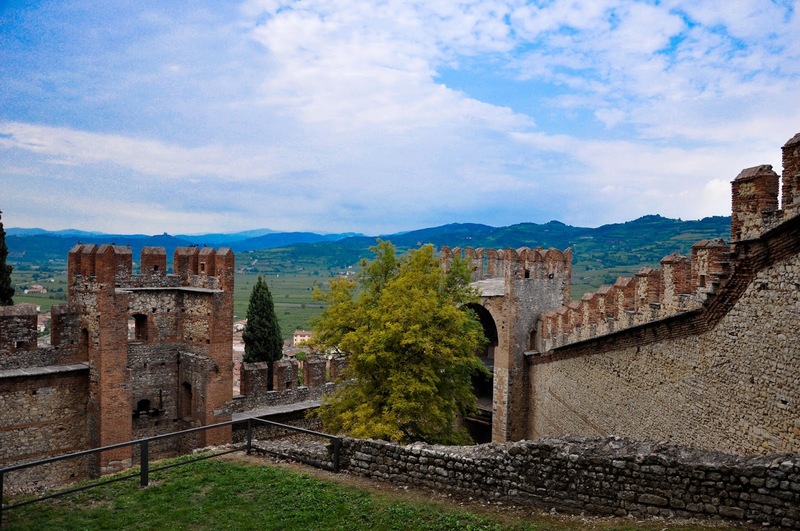 Soave is a small town and it is easy to walk around it for different points of view towards the castle and the surrounding defense wall. We walked from the parking lot just outside of said wall all through the town and then up the hill following the signs to the castle. The road is cobbled and quite steep at times, but it gives you a good view of the valley. There are also some vineyards along the way. Once at the top, we found out that the castle was closed for the afternoon (riposo) and whilst we waited for it to re-open, we took a small path going round at the back of the castle through some vineyards and an olive grove. From there, I could take a picture of the castle and its famous ‘wedding cake’ tiered-structure. I hope this helps. Enjoy Soave, it’s beautiful.